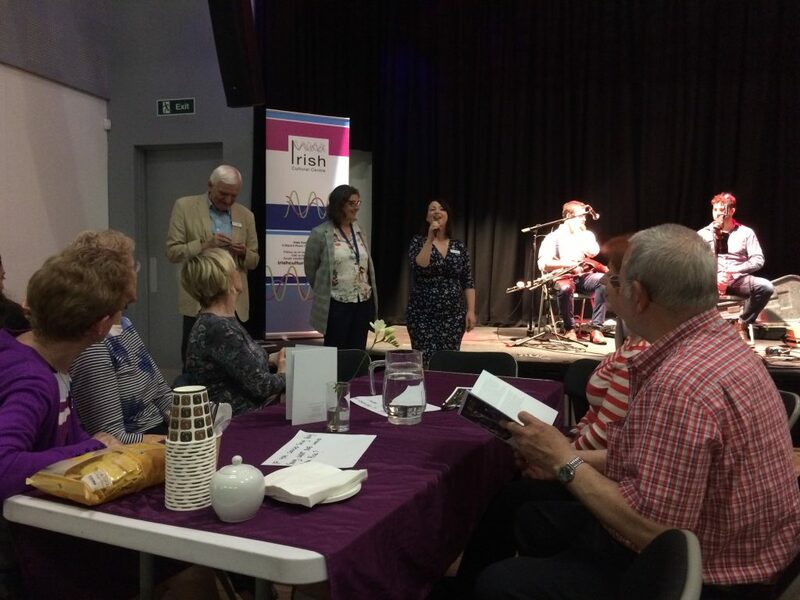 Serenaded by footstompingly enjoyable traditional Irish musicians, we enjoyed the hospitality of the new Irish Cultural Centre for our third Enigma lunch. The hall was full for the occasion with guests drawn from the Cultural Centre, our residents, friends of the charity and neighbours who found out about the event from Next Door. As hoped, the conversation flowed, sparked to some extent by responses to our republication of the reminiscences of Irish migrants first published in the 1980s. Guests were delighted to read the stories; some remembered the original project and, for others, the stories newly discovered, very much tuned in to their own memories. 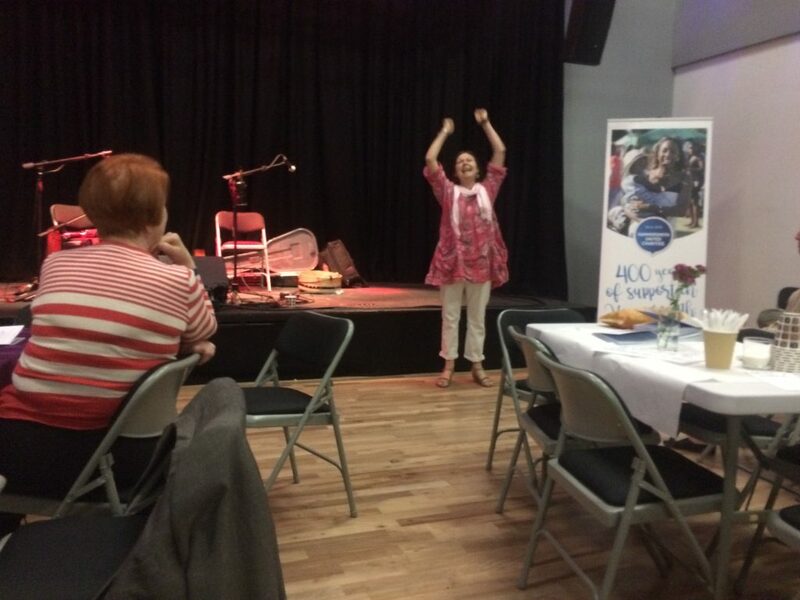 We ended the event with a riveting and entertaining story by a professional story teller who had the whole hall enthralled and entertained with her tale of her life as the daughter of a small town shopkeeper – and more seriously with her thoughts about “community” – very much the theme of our Enigma lunches.